I love it when a client asks me to make something totally unique and bespoke for them. I recently got commissioned to make a one off statement pendant for a clients sister’s special birthday. Her sister loves to wear really unusual statement pieces to big does and had a favourite pair of earrings which she always wore. 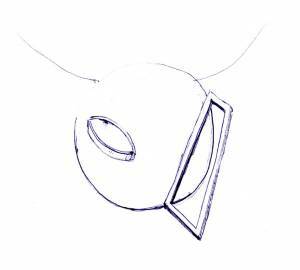 So my client decided to would be a good idea to get a bespoke statement pendant made which would compliment the earrings. We didn’t want to completely match the earrings as the pendant was to stand out on it’s own right. 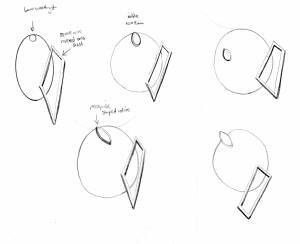 First we discussed design ideas shapes and form, will there be a stone? 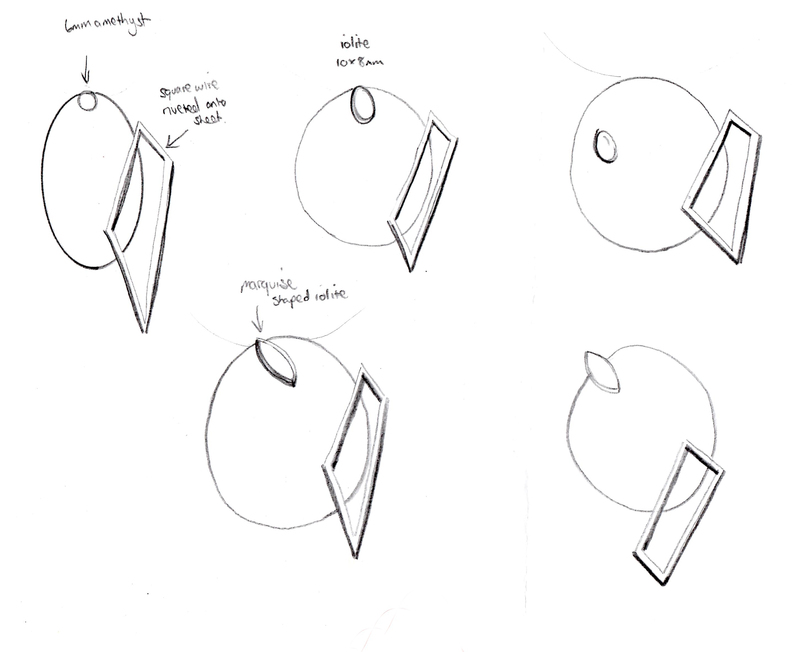 Above are the beginning sketches of the design. It didn’t take long to finalise the design. I always listen to what my clients want in the design. 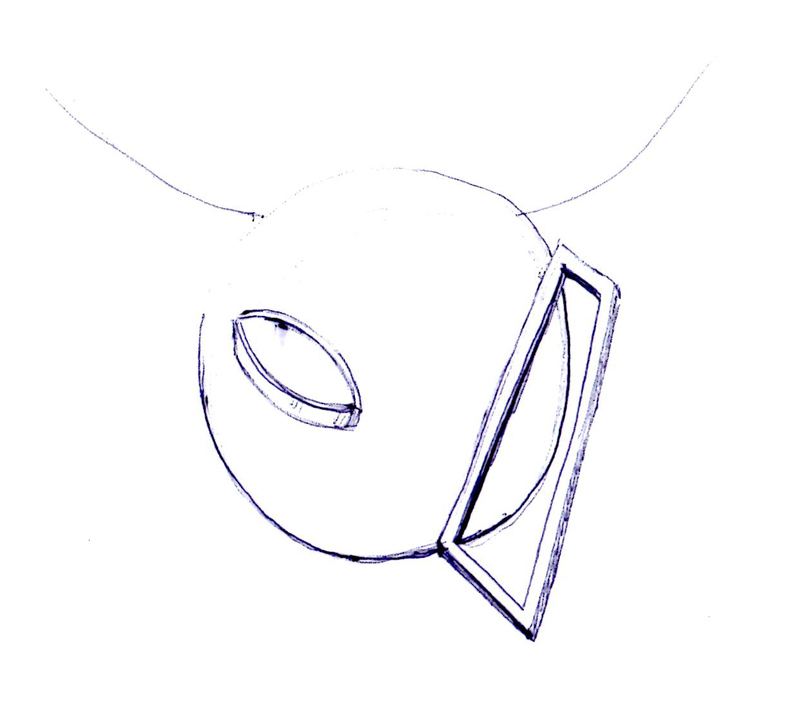 Once we discussed textures, finishes, time-scale, chose a stone and a suitable budget, I came up with the final sketch. Once the client was happy with the design, I take 50% up front then begin the piece. Sometimes this can take up to 4 weeks but I can work around budgets and time scales. The final piece was made in silver with a stunning London Blue Topaz which I purchased from Mexico. My client was absolutely thrilled with the finished piece and her sister got it in time for her birthday. As you can see it is a little different to the pieces that I normally make. I love to break away from my own style, so don’t hesitate to contact me if you have your own designs. 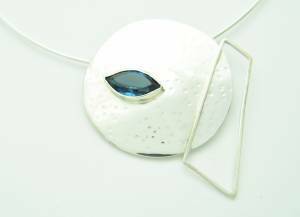 If you are interested in getting an unusual piece of jewellery made get in touch to discuss what can be made.